Win Manitoba's biggest Early Bird draw! Published on June 19, 2018 at 10:00 pm . 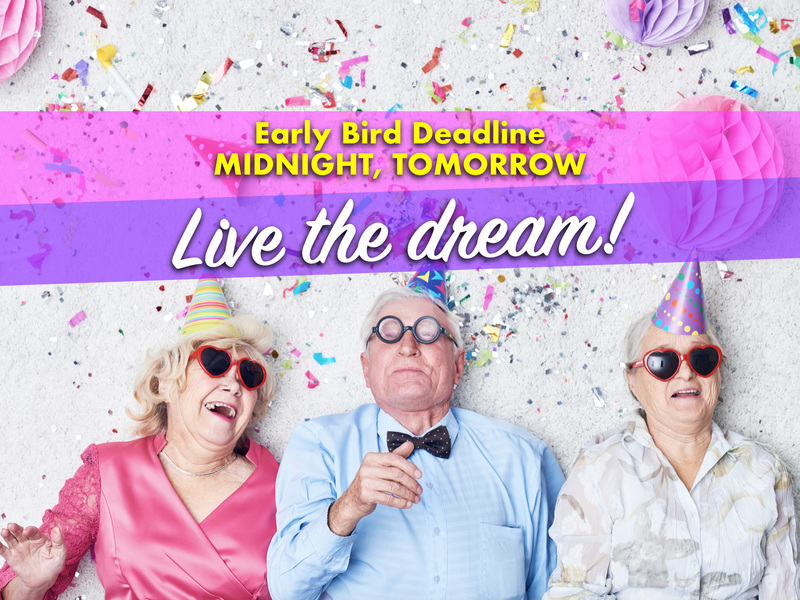 It’s the biggest Early Bird prize the Tri-Hospital Dream Lottery has ever offered… and the deadline is Midnight, Tomorrow! $175,000 in Early Bird Draws! Order your tickets today to get in to win $175,000 in prizes – including a massive main Early Bird Draw worth over $150,000, plus 25 more draws of $1,000 cash for each winner. That’s 26 Early Bird winners – a brand-new addition to this year’s Tri-Hospital Dream Lottery! There are so many reasons already to buy early… now there are 26 reasons to buy today. Become instantly richer when you buy today. And don’t forget about the $1.52 Grand Prize draw, either! Order today and you’re automatically entered into the Grand Prize Draw – to win a $1.52 million Dream Home package or $1.2 million tax-free cash! The choice is yours… the dream could be your reality. It’s a Win-Win. Remember why you buy. When you buy your Tri-Hospital Dream Lottery tickets, you’re playing to win amazing prizes – and you’re helping save lives right here in Manitoba. All proceeds raised support our three hospitals – St. Boniface Hospital Foundation, Health Sciences Centre Foundation, and the Children’s Hospital Foundation of Manitoba. Your ticket purchases matter. Your friends, your loved ones, your family, your sons and daughters, your parents, and even yourself… we all depend on our hospitals. Order today, win sooner … and live the dream all year long!